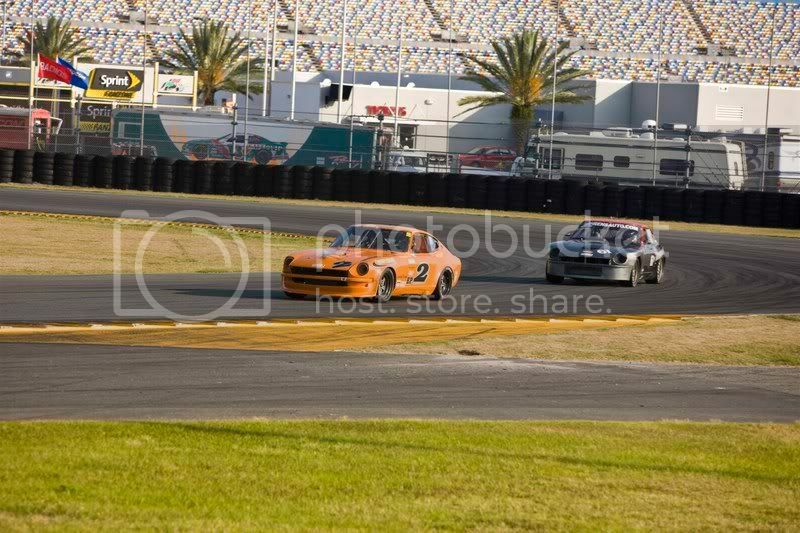 Here is a little write up on Greg Ira's EP win in the Daytona National. Greg also built the ITS 280ZX Charles Perry won in the ECR in and co drove the 240Z of Guy Marvin to 4th place after running out of gas at the end. Why wasn't there a mention of who the second placed Z was. It was a great race with passing going on by both. 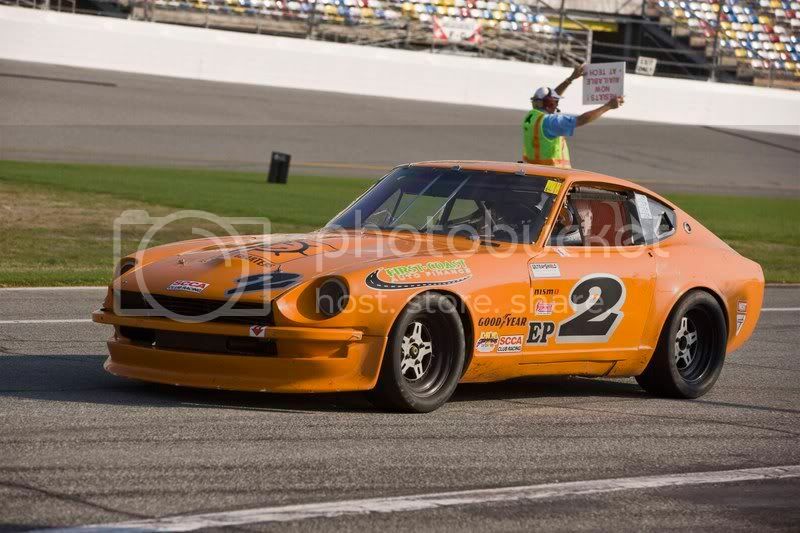 Second place driver was Don Ahrens also in a 240Z. I know the race must have been a great one to watch with less than a second separating them at the finish. I was not there however. Mark, thanks for the post. The EP race went great for us with the exception of Ahrens trying to knock the valve stems out of the tires. We had a great race, lots of drafting. Subtle new aero changes made a difference. I beat the previous track record by 1.7 seconds. Our power is about the same, but great laps there also are determined by how lucky you get with drafting backmarkers. The ITS Enduro was super fun. We had about 4 RX7's that were right there with us and we lost them one by one. Irish Mike is his mega powered BMW checked out, then broke towards the end. 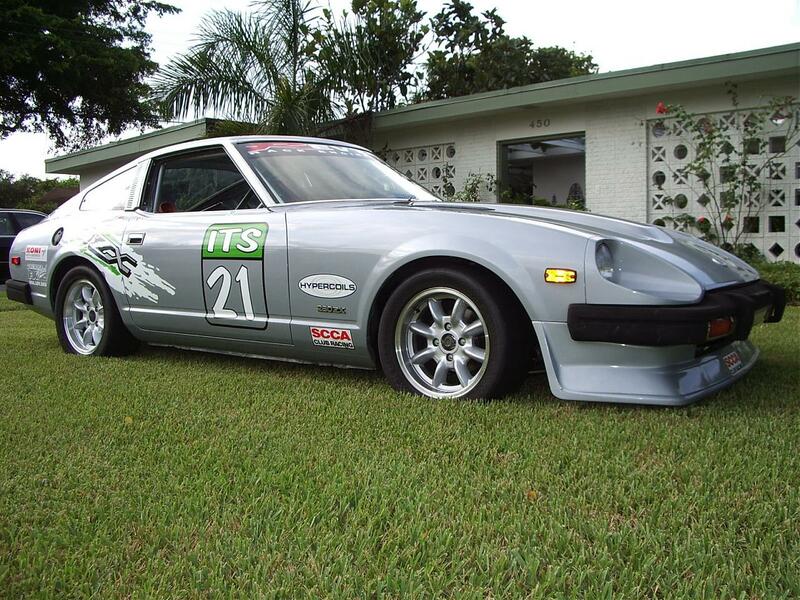 Here's a pick of the 280ZX I built for Charles Perry. 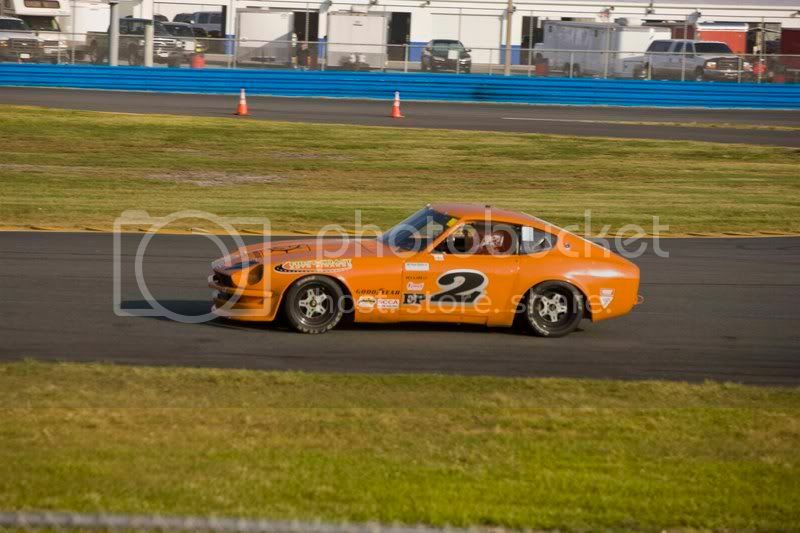 This was the second race out with this car. Charles drove the entire 1.5 by himself. 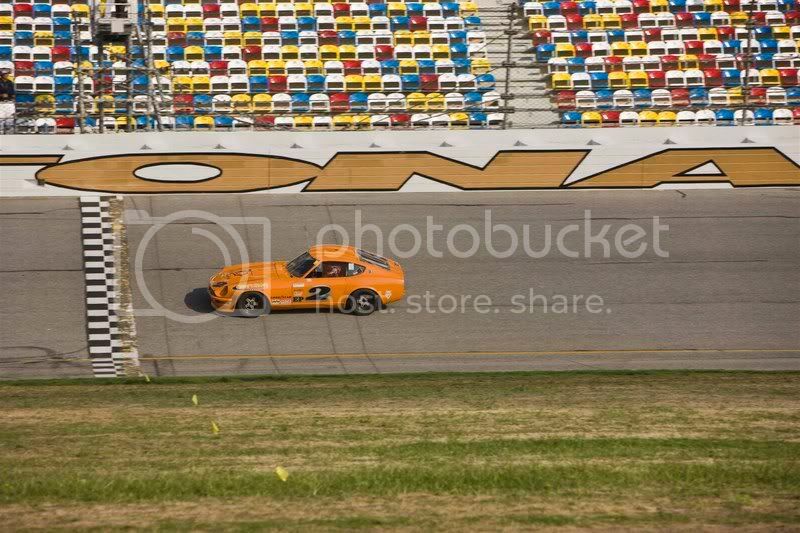 Some pics from the E Prod race taken by Greg's dad. The idea of that car as a daily driver to/from work has alot of appeal not grounded in reality. Thank you fantasy world!